BONGI & COLLIN are known for injecting soulful gospel with a lustrous power that has made them among the most talented in their field. Since notably winning first and second prize on SABC 1's “Gospel Stars”, the duo has never looked back. They have touched the hearts of gospel music lovers across the country not only through music but their love for each other is a source of inspiration for their fans. 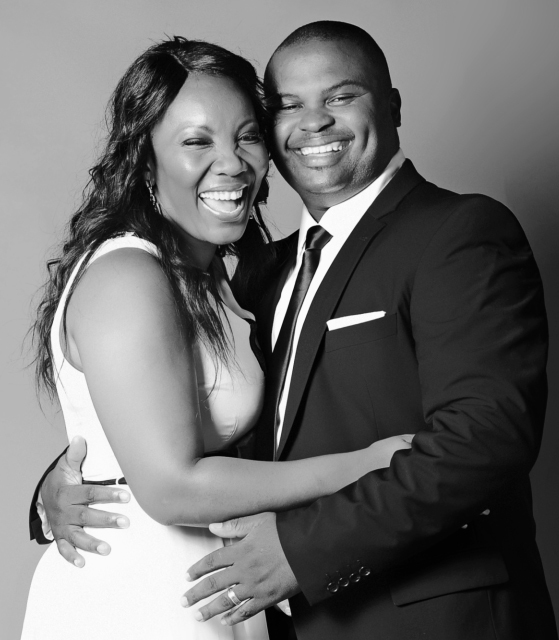 BONGI & COLLIN have collectively shared stages remarkably with Joyous Celebration, the late Vuyo Mokoena, Hhp, Solly Mahlangu, Benjamin Dube and others both as backing vocalists and artists. Over the years, BONGI & COLLIN have consistently delivered music that showcases their skills as singers, composers and worship leaders. Their impressive singing earned them a SAMA award for Best Urban Gospel Album in 2010 for “Makadunyiswe” validating their talent and professionalism. An annual Valentine's weekend collaboration "Love & Music" with Thabo & Nonhlanhla Mdluli and Swazi & Tshepo Mngoma has grown their reach beyond gospel, which is why the couple is on constant demand at weddings. This is an exciting time for BONGI & COLLIN because they released their latest album "Live Again" under an independent label, mYm Records. The title track “Live Again” was written by American Gospel singer Hasan Green. The single was realeased simultaneously with their video a few weeks ago. BONGI & COLLIN channelled a mature spirit into their latest contemporary album, complete with freshness. The album was launched on 17 August 2013, and received an amazing response from the fully-packed auditorium. BONGI & COLLIN are pleased to announce their new choir after rigorous auditions. The 15-piece choir will accompany them and will be developed into an entity. Notable collaborations are in the pipeline with some of South Africa's top artists. The duo is at developmental stages of a reality show. There are more things to come from Bongi & Collin!